One of the things that I want to do more on the blog is share my travel experiences. I love reading other blogs when they share their travel stuff so why not share my experiences as well. There are so many beautiful locations that I can’t wait to see and also some that I have experienced. 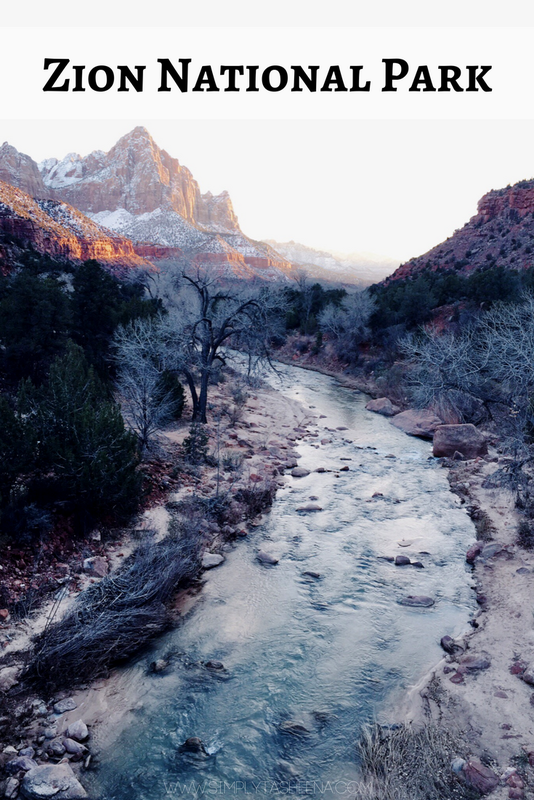 First I wanted to share with our experience at Zion National Park. On a whim, the Mister and I decided to visit Las Vegas. I was so ready to go because it was December and it was really cold outside in Connecticut, You know, the typical New England weather. The day of our flight the Mister mentioned that it was going to be cold in Las Vegas and I panicked. I honestly felt like crying. You see, the first time we visited Las Vegas was around March and it was around 60 degrees during the day and at night it was freezing. I honestly just wanted to be a flight away from summer this time around. I called our airlines and they explained that I could change our flight to a different location. I quickly looked at the weather in different states and it seemed as if everywhere was cold that week. I kept the reservations and boy. I had a huge surprise upon arriving to Las Vegas. Baby, it was cold outside. We decided to make the most of it… I woke up the next morning and was not having it. I searched for rental car places and booked a rental car. I can’t even remember how we got to the car rental place. But we go there and was off with our rental car. We stopped to get gas and decided to just drive. Because we knew it we were close to California. I mean, like I had no idea how close Las Vegas and California were to each other, YAY! We meet with the Mister's family and had dinner, drinks and the time of my life. (This is entirely a whole another blog post in itself so I won't go into too much detail.) We woke up the next morning and decided to drive back to the hotel. That day we decided that we were going to drive to Zion National Park. I believe it was one of the closest National parks from where we were staying at in Las Vegas. I can’t remember how long it took to get there but the drive was beautiful and scary at the same time. I’m not used to driving so close to mountains and everything was just so breathtaking. I wanted to get out of the car to take pictures but I opted not. Before I knew it, we arrived to Zion National park. I can’t remember how much the fee was to enter. We drove through the park and took a couple of pictures. The Mister was not trying to hear driving at the top of the mountain on the icy roads. I wanted to do it so badly even though I was scared. I could only imagine how breathtaking the view was from the top of the mountain. The air was so crisp and clean. Honestly, I believe this was my favorite trip out of all of the trips I’ve taken with the Mister. We laughed the entire ride there and was just in all from the views. I’m happy we opted not to do the typical Las Vegas trip and created beautiful memories by exploring. What a stunning area! I'd love to explore this place. Gorgeous scenery, that's for sure. Beautiful! Nothing like getting up and going somewhere new. My dad just moved from Vegas and he mentioned it had been colder than normal. I think the Mr. and I are overdue for a getaway! Glad you all had fun.